Want to have a profound, positive influence in the lives of young people? If you’ve already completed an approved undergraduate degree, our Master of Teaching offers a unique pathway to a rewarding career. You’ll build advanced research skills and graduate with a competitive edge in the teaching job market. Take courses on contemporary educational issues and social contexts. Build understandings of adolescent behaviour, learning and motivation. Learn to support student wellbeing and positive student-teacher relationships. Complete two full-time supervised teaching blocks of 65 days in South Australian schools. Undertake a practice based research project. 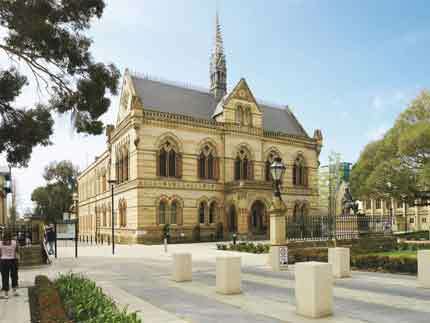 This degree is accredited by the Teachers Registration Board of South Australia. Graduates may register to teach in South Australia, and in most cases, interstate and overseas. An education background will also prove invaluable in a wide range of careers servicing communities outside of the classroom. Note: The Master of Teaching degree is a 48 unit program that is taught in accelerated mode over 1.5 years. Fees are based on the number of units you enrol in. 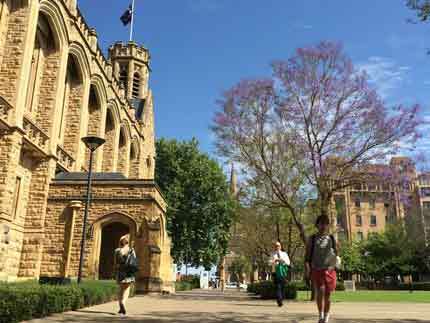 A Bachelor degree or equivalent from a recognised Australian or international higher education institution. A teaching area major and a teaching area minor (or specialisation), which aligns with the Australian Curriculum and/or the South Australian Certificate of Education (SACE) curriculum. A major teaching area major is the equivalent of a total of three-quarters of a year full time study. A minor teaching area is the equivalent to one-half year of full time study. 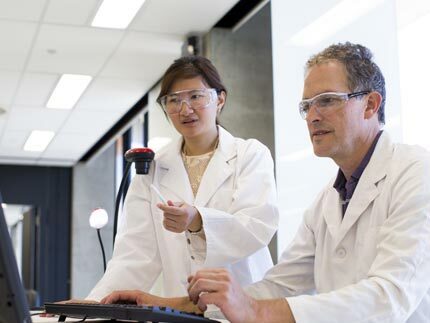 The following teaching areas are usually applicable in South Australia - Accounting, Agricultural Science, Biology, Business Studies, Chemistry, Chinese, Classroom Music, Economics, Earth and Environmental Science, English, English as a Second Language, Languages (e.g. French, Spanish, Vietnamese, German, Indonesian Italian, Japanese, Modern Greek), Geography, History, Information Technology, Instrumental Music+, Mathematics, Physics, Psychology, Science, Media. +Important Note: if choosing music as a teaching area, the ability to read music is essential. Prospective students must successfully undertake a National Criminal History Record Check (NCHRC) as an entry requirement. Prospective students must successfully undertake a National Criminal History Record Check (NCHRC)* prior to placement and as required by the Teachers Registration Board of South Australia for registration to teach in South Australia and relevant employer authorities. Prospective students must also successfully undertake: Department for Communities and Social Inclusion (DSCI) child-related screening and Full-day Responding to Abuse and Neglect: Education and Care (RAN-EC) training. Both are required prior to undertaking the Professional Experience Placements as they involve contact with minors (under 18 years of age). All students must pass both components of the Language and Numeracy Test for Initial Teacher Education (LANTITE). In accordance with national teacher education program standards, applicants must fulfil non-academic entry requirements. Applicants are required to submit a 400-600 word Teaching Capabilities Statement which speaks to motivation to become a teacher. Pathway students will be contacted directly by the university and asked to submit their statement at the end of their foundation program. A teaching area major and a teaching area minor (or specialisation), which aligns with the Australian Curriculum and/or the South Australian Certificate of Education (SACE) curriculum. A major teaching area major is the equivalent of a total of three-quarters of a year full time study. A minor teaching area is the equivalent to one-half year of full time study. 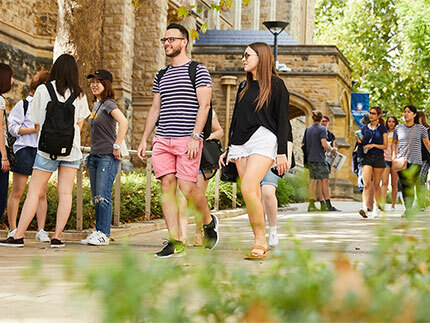 The following teaching areas are usually applicable in South Australia - Accounting, Agricultural Science, Biology, Business Studies, Chemistry, Chinese, Classroom Music, Economics, Earth and Environmental Science, English, English as a Second Language, Languages (e.g. French, Spanish, Vietnamese, German, Indonesian Italian, Japanese, Modern Greek), Geography, History, Information Technology, Instrumental Music, Mathematics, Physics, Psychology, Science, Media. *Important Note: if choosing music as a teaching area, the ability to read music is essential. Prospective students must successfully complete a non-academic assessment through SATAC as required by AITSL. *Prospective international students may be required to obtain a certificate from their home country. Prospective students must successfully undertake a National Criminal History Record Check (NCHRC)* prior to placement and as required by the Teachers? Registration Board of South Australia for registration to teach in South Australia and relevant employer authorities. Both are required prior to undertaking the Professional Experience Placements as they involve contact with minors (under 18 years of age). The Master of Teaching provides a professional qualification that is recognised for teacher registration purposes in South Australia. In most cases the qualification is portable to other states and countries. Professional Experience Placements form a compulsory part of the program. Students will be required to undertake a Child-related Employment screening through Department of Communities and Social Inclusion (DCSI). If a student fails to obtain clearance for any reason, the University cannot accept responsibility for obtaining a professional experience placement or any professional experience activity that a student may require to complete the course of study. In addition, students who are completing any in-school activities or professional experience placements must undertake mandatory training in Responding to Abuse and Neglect prior to the commencement of the activity/placement. Students must provide documented evidence that shows that they have completed all of the required training. This degree provides a professional qualification that is recognised for teacher registration purposes in South Australia. This degree is pending accreditation. In most cases the qualification is portable to other states and overseas countries. The courses taught cover issues in education such as professional practice; learning and motivation; the social context of education; student-teacher interaction; and curriculum and assessment in the Australian context. Students undertake studies in curriculum areas related to their undergraduate qualifications and teaching specialisations and complete two full-time supervised teaching blocks in South Australian schools of 65 days total. Students undertake a significant practice based research project in the second year. A successful Department of Child and Social Inclusion (DCSI) Clearance is required by teacher employment authorities in South Australia. A successful DCSI is required prior to undertaking any professional experience placement which involves contact with minors (under 18 years of age). These placements form a compulsory part of the program. From 2019, all Master of Teaching students must complete both components of LANTITE before commencing their final placement. The LANTITE is administered through ACER. This double degree program provides a professional qualification that is recognised for teacher registration purposes in South Australia. In most cases the qualification is portable to other states and overseas countries. "I find the courses within the Master of Education interesting and useful for me not only for my personal interest but also for my job and I believe that this University can equip the required skills and abilities not only pre-service teachers but also in-service teachers who are willing to teach in an effective and excellent way."